Approved New York State Department of Health Medical Marijuana Facility. 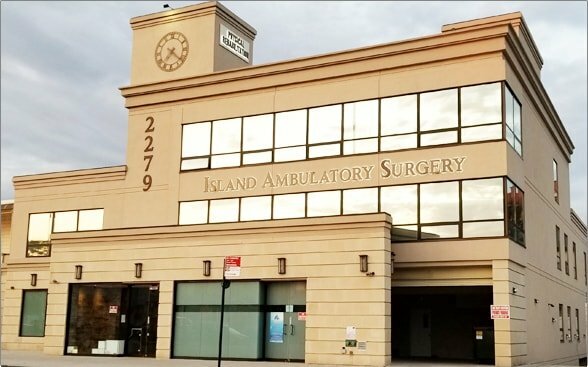 Our pain management doctors and physical therapy specialists in Brooklyn, Queens, Bronx, Manhattan NYC are among the best in the region. Top rated physical therapist and chiropractor in Brooklyn Dr. Lipnitsky has been recognized for his thoughtful, thorough approach to chiropractic care and, among other accolades, has been named a “top chiropractor in Brooklyn”, and one of “America’s Top chiropractors™”. Our Brooklyn sports injury clinic were selected to be a part of the international medical team for the Rio Olympic Games. Can come from a number of disorders and diseases and can involve any of the tissues in the neck. The pelvis is located in the lower torso, made out of bones that protect the organs located in the abdominal and pelvic cavity. Most common complaints in our Brooklyn, NYC pain management center & sports medicine specialists. As a best in class, top rated Brooklyn pain management doctor, Dr. Reyfman provides highly personalized and comprehensive pain care. He has presented at several national conferences and has written articles that were published in many prominent media outlets. Medical Marijuana doctor and the best rated doctor in Brooklyn, Dr. Reyfman received the America’s Top Doctors, The Leading Physicians of the World as well as The Most Recognized Businesses and Professionals in America award. He is among the best pain relief doctors in the country. Pain Physicians NY (Brooklyn, Queens, Bronx, Manhattan NYC) offer best in class treatment: Latest Cutting Edge, Non-Invasive Disc Decompression Procedure, Platelet Rich Plasma (PRP) Injections for Discogenic low back pain, body Composition analysis, high tech shockwave therapy, groundbreaking Interstitial Laser Therapy among other advanced pain management procedures. Come see our brand new cutting edge, state-of-the-art pain management clinic in Brooklyn, Queens and Manhattan NYC. Pain management clinic of Pain Physicians NY (Brooklyn, Queens, Bronx, Manhattan NYC) provides a full range of advanced pain management services to help our patients return to a healthy and pain-free lifestyle. Our comprehensive & unique approach to pain care is individualized. We provide the most effective pain relief treatments available. We are an internationally recognized as best in class pain management doctors, medical marijuana doctors & physical therapy specialists. We were selected to be a part of international medical team for Rio Olympic Games. We always consider a non-invasive pain management treatment options first before we turn to more invasive procedures like minimally invasive surgery. New Generation Laser Therapy – Low-level laser therapy (LLLT) uses light with specific characteristics for treatment of many inflammatory and pain-generating orthopedic conditions, such as tendonitis, bursitis, nerve entrapment and acute sports injuries. In addition we offer Shock Wave Therapy, Vibacore Rehabilitation Therapy, Kinesio Taping, Chiropractic and Manual Therapy. Intramuscular & Intra Articular Laser has more efficacy than topical and intramuscular diclofenac in the treatment of acute stage muscle strain injury or excessive stretching. Used for pain management, chronic spinal illnesses, slipped discs, scar pain after slipped disc surgery. New technology also enables direct intra-articular treatment of injured joints (e.g. knee or shoulder joint). One of the worst times in my life was three years ago experienced severe lower back pain. I’ll make a long story short, I had herniated disks. It happened while I was fighting, which I still do. I was wrestling with a guy who was a little heavier than I was. I picked him up and I underestimated him. Basically, I ended up the wrong way and he ended up falling on top of me. Pain Physicians NY saved me. This is the best sports injury clinic in Brooklyn. Thank you, Dr. Lipnitsky you are the best!!! After having gone through 2 shoulder surgeries in one year with very little success, a friend of a friend told me about a doctor Reyfman for pain management. I made an appointment with Dr. R. and the rest is history. I have my sanity back along with a shoulder that feels good. All I can say is, I have the utmost respect for Dr. Reyfman and the whole staff and I highly recommend them. After my car accident I was left with massive amounts of back pain and minimal mobility of my left shoulder. Thanks to Dr. Reyfman and the rehab program at Pain Physicians NY my shoulder has completely healed and my back no longer aches while I sleep. I feel so blessed to be able to get back to being my athletic self. Thank you Dr. Reyfman! It was like a miracle. The staff at Pain Physicans NY worked with me to ensure that my neck pain was actually fixed, and not just masked with prescription medication.